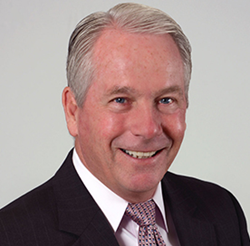 Inlanta Mortgage, Inc. is pleased to announce the addition of Bob Case as Loan Officer in East Wareham, MA. He will join Dan Sheehan, Branch Manager, and team. Bob Case can be contacted at 508-922-5235 or bobcase(at)inlanta(dot)com. Their office is located at 3193 Cranberry Hwy. Suite 1, East Wareham, MA 02538. Inlanta Mortgage continually seeks branch managers and loan officers who want to grow their business. To learn about growth opportunities, please contact David Williams (Colorado and Texas) at davidwilliams(at)inlanta(dot)com or 303-947-1960; Brian Jensen (Midwest) at brianjensen(at)inlanta(dot)com or 630-927-0380; or Kevin Laffey (Kansas, Missouri, and Iowa) at kevinlaffey(at)inlanta(dot)com or 913-645-4647. To learn about opportunities in other locations, visit http://www.inlantapartners.com, call 262-439-4260, or email partners(at)inlanta(dot)com. Inlanta Mortgage, Inc. NMLS #1016. Dan Sheehan, NMLS #6860. Bob Case, NMLS #6495.